The holidays are here, and you know what that means—leaves are changing, the weather is colder and festive menus are being planned. This year, we’re combining two of our favorite ingredients for a delicious seasonal treat—California dried plums and pumpkin! Looking for the perfect seasonal breakfast or dessert item? 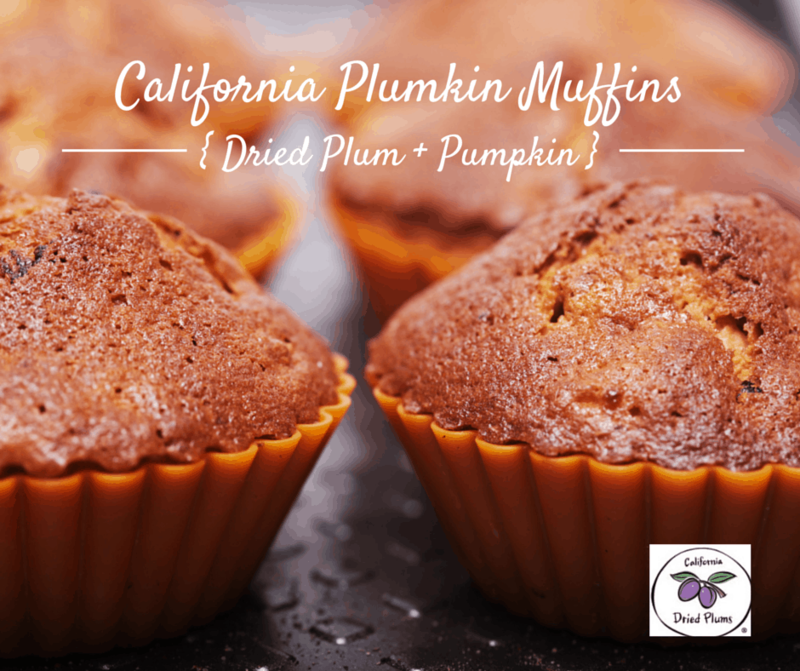 Look no further than our California Dried Plumkins! These muffins are a healthier alternative to your traditional ones, replacing oil and butter for prune purée. Did you know prune purée adds moisture and richness to a variety of baked goods and meats? Baking with prune purée reduces the fat and sugar while adding a natural boost of moisture to your favorite cake, biscuit or pie filling. If your recipe calls for butter or oil as the fat source, you can reduce your fat by half and then add and replace what you have taken away with the same measurement of prune purée. You should also reduce the sugar by half since prunes are naturally sweet. Remember, it’s best to taste test, since recipes can vary depending on ingredients. Note, prune purée can be covered and stored in the refrigerator for up to one month. Not only is baking with prune purée great for your waistline, California dried plums support bone health, heart health, digestive health, immunity and healthy aging. So the next time you’re looking to make an enjoyable, yet nutritious, baked good, try swapping out butter and oils for prune purée to reduce calories without losing flavor. Enjoy! Traditional size muffins should bake for at least 30 minutes more. Note, nutrition facts will quadruple. Recipe created by Leslie Bonci, MPH, RD, CSSD, LDN, for the California Dried Plum Board.